Final 20 minute appointment about any issues with training and behaviour. The plan is brought as a whole and no refunds can be made for any part of the plan including missed appointments. The plan has to be completed within 6 months of starting the plan. Rushcliffe Veterinary Centre in Nottingham is one of the few UK veterianries to offer Keyhole Surgery. Over the past few years we have performed hundreds of procedures predominately laparoscopic keyhole spays. Over 95% of our own clients opt for keyhole spays. We also offer the service to non-clients, some of whom travel great distances to benefit from the better outcomes of this type of surgery. Watch some real videos of keyhole surgery on our Keyhole Surgery page. Welcome to our compassionate, family-run practice in West Bridgford. 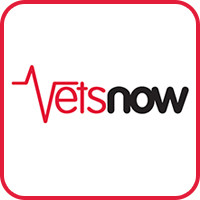 Providing one of the most experienced and highly qualified veterinary teams in Nottingham with an average of over 15 years experience each, and post graduate qualifications in Endoscopy, Anaesthesia and Medicine. We offer: a comprehensive range of veterinary services from advanced state of the art laparoscopic surgical techniques, including keyhole spays (over 1000 procedures completed), to value for money vaccination deals and preventative healthcare discounts. For every dog or cat booster we sell* we donate £2.00 towards vaccines for the pet's of Nottingham's homeless and most vulnerable people. So far 500 vaccinations have been donated.